Sometimes people do not realize how important is, for the health of their feet, finding boots that fit right. You may choose from cowboy boots, lacer boots, steel toe boots, logger boots, or motorcycle boots. Whichever you may want, they must fit perfectly in order to not be bothered by blisters and aches on your feet. 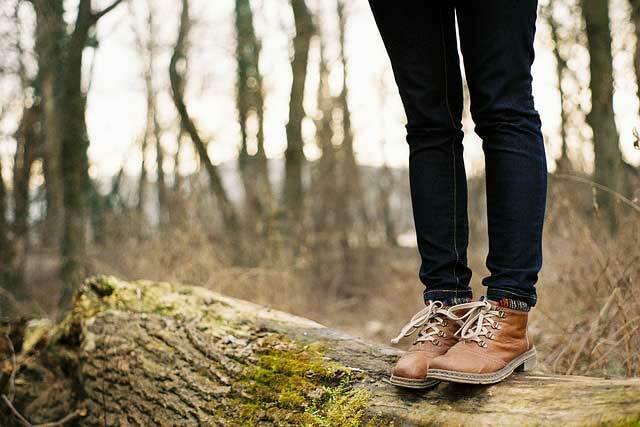 This article is intended to present boots shopping tips for choosing the ones that best fit you. Look only for high quality boots. And only in the instance of finding more quality alternatives take price into consideration, and only as second buying criteria. First of all, test the solidity of the bottoms by pushing on your thumb into the sole bottom. If the bottom of the sole is altered by your thumb pressure, the boots will give less than expected protection to your feet. Another way of testing the softness of boots soles is by twisting them. Too soft boots soles can be twisted. If you work in a demanding environment you’ll be looking for logger boots, lacer boots, steel toe boots or similar boots which have solid bottoms. The quality of the boots depends also on the durability and firmness of the boots sides. Added padding gives quality boots enhanced capacity of protection against metal items, rocks and stones, etc. Also you may want to verify if the boots offer ankle support. You can do that by attempting to bend the top of boot over sideways. Quality boots can’t be bent with ease indicating that this option was considered by the manufacturer in the production stage. You should look for waterproof boots in case you spend much time on outdoor activities like riding bikes, hiking etc. Extreme weather conditions such as heavy rain, thick mud, sun heat will likely affect cowboy boots and motorcycle boots. Moisture protection and durability are key features of waterproof boots. It was already said that quality comes first, and price comes second. Once you have made your decision to opt for a certain brand or type of boots, you can start look for online deals. The best way for you to fit your boots is with the help of a professional. This is because neither the feet nor the boots are identical. Even for the heaviest boots you must aim for them to be as comfy and perfectly fitted as a pair of gloves or running shoes. When trying new boots remember to take with you the pair of socks that you usually use with your boots. When in the store put them on and, this way, try the new boots by walking not less than 15 minutes. It is important that your boots provide enough space for your toes and at the same time prevent the heel slippage. It is useful to know that “Wide-toe” boots are proposed by quality brands. Apply this technique if you want to verify if a pair of boots has the right size for you. Put your socks and boot on, unlace the latter, and try moving your foot as far as possible toward the front of the boot. Now insert your finger in the boot behind the ankle and if it fits there well, you may consider that the boot is the right size. It means that they are neither too big nor too small. Checking for tightness imply trying the boots firstly without wearing socks. By doing this you want to feel if the toes have enough room inside to “shake back and forth” and also to check for too narrow places between the side of the boot and the foot. After that you should put on your socks and try the boots once more. Walk around and observe the feeling that you have with your new boots on. Step backward, forward and sideways. If you intend to not use them on flat areas, for example for hiking, find within the store an inclined area, for example a wheelchair ramp or a slant board. After finding the quality boots that best fit you, you may want to go online to check for better prices. You’ll certainly find the right boots for you as there are sites that sell a large variety of styles and brands of boots. At the same time you can shop also for other products that online malls offer. So, be they logging boots, steel toe boots, lacer boots, motorcycle boots, or cowboy boots, choosing the ones that best fit you is the wisest decision.